Factory mirror covers are boring, so boring in fact that I'm finding it hard to write about at the moment. You know what's not boring? TFP chrome mirror covers. These guys are going to look amazing, fit great, and won't break your wallet in half. Finished in chrome, TFP mirror covers are going to look fantastic on your ride, and are an essential for anyone going for a chromed-out truck look. Each cover is constructed of super-durable ABS plastic, and is specifically designed for each vehicle application. So, you can be sure you're ordering a high-quality product that is going to fit your truck, SUV, or car perfectly. 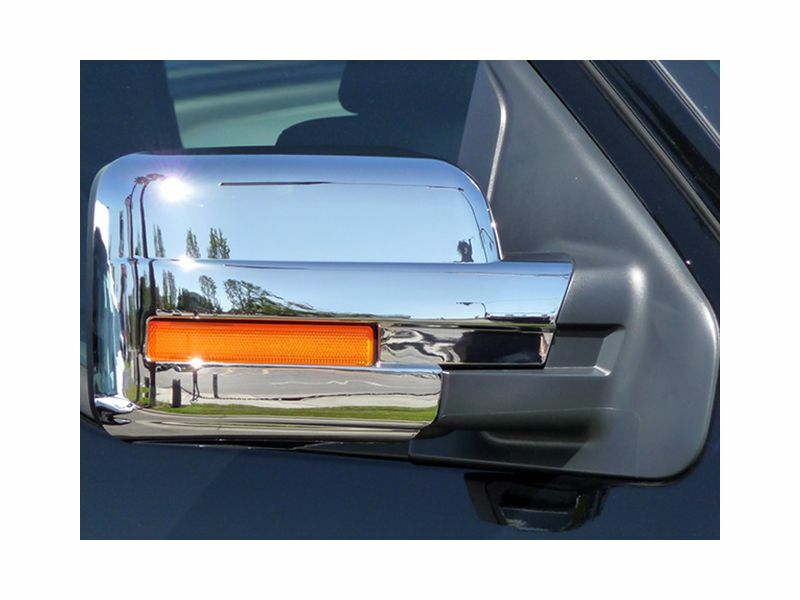 There are options for top-half, bottom-half, full mirror, and towing mirror covers available. Installation couldn't be much simpler than TFP chrome mirror covers. Each cover installs with automotive-grade 3M tape, making for an easy installation with a strong grip. So, what are you waiting for? (I assume you're waiting for me to stop typing. Well, I'm almost done) Get your set of TFP chrome mirror covers, and get your truck the attention it deserves. TFP chrome mirror covers are backed by six month warranty from TFP. Give us a call at 877-216-5446 if you have any questions. TFP chrome mirror covers are a breeze to install. Each cover installs with ultra-strong 3M tape, making installation time about the length of a commercial break. Got questions? We've got answers. Give us a call 7 days a week at 877-216-5446.